Ballistics unlocked Milne’s mathematical originality. He quantified the behaviour of winds in the upper atmosphere, essential for high-angle shells; he corrected faulty formulae; he refined the mathematics of sound for huge listening trumpets that located enemy aircraft at night; he hung out of flimsy planes to obtain meteorological data. 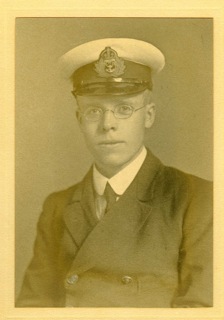 After the Armistice his outstanding analyses took him back to Cambridge as a Fellow – a rare feat without an undergraduate degree. 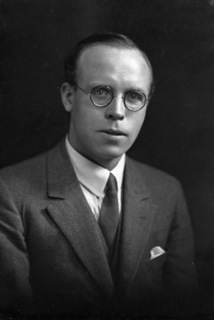 He came into the orbit of JJ Thomson, E Rutherford, FW Aston, PMS Blackett and the astronomer HF Newall, who, aware of Milne’s investigation of the Earth’s atmosphere, suggested he tackle stellar atmospheres. Although a novice to astronomy, his rapid succession of fundamental papers cemented his reputation in astrophysics. The spectroscopic method he and RH Fowler devised for finding stellar temperatures and pressures was adopted worldwide. At the age of 30, by then Beyer professor at Manchester, Milne became a Fellow of the Royal Society. In 1941 the Society awarded him a Gold Medal. When Milne moved to Oxford in January 1929, to the Rouse Ball chair, he was appalled by the University’s marginalisation of science. Energetically he set about improvements – and was not afraid to court controversy there and on other fronts. 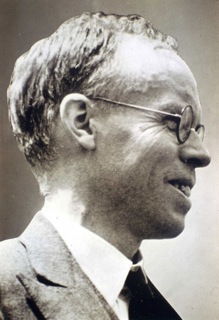 Bolstered by a happy summer with American astronomers at Ann Arbor, Michigan, he attacked Eddington over his mass/luminosity relationship. Their verbal jousting at Royal Astronomical Society meetings attracted an eager audience. Milne loved the cut and thrust of debate whereas Edington scored on paper. Ten years would elapse before the ‘carbon cycle’ explanation of the source of stellar energy settled the notorious contretemps about stellar structure in Eddington’s favour. 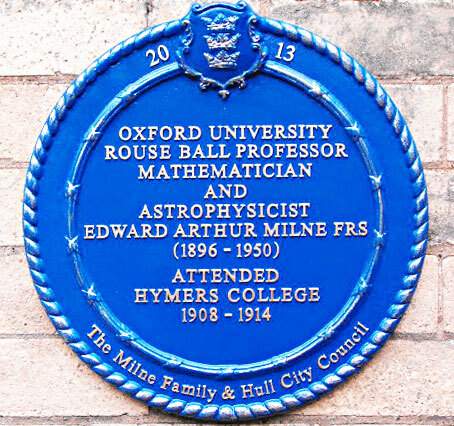 At Oxford Milne built up astrophysics and Rhodes Scholars sought him. Graduate students appreciated the weekly colloquia he had introduced, then an innovation, with speakers as illustrious as A Einstein and E Hubble. S Chandrasekhar, a lifetime friend, visited regularly. HH Plaskett at the Observatory complemented Milne, the theoretician, and together they established a world centre of cosmic studies. From 1937 to 1939 Milne was President of the London Mathematical Society and in 1935 the Royal Astronomical Society honoured him with a Gold medal. Later from 1943 to 1945 he was the Royal Astronomical Society’s President. A gloomy remark from JH Jeans provoked Milne to postulate his Kinematic Relativity, based on Time, and it seemed a plausible alternative to Einstein’s General Theory based on Space. But Milne was mocked for using light signals to measure distance. This foreshadowed radar, yet has not been adequately recognised, according to H Bondi. As R Penrose notes in the Introduction to my biography we define distance today in terms of time. Milne’s fascination with the concept of Time led him to suggest the strange notion that two scales operate in the Universe. Consequently ‘constants’ of nature vary over the ages, a thesis expanded by JBS Haldane. Milne’s bold powerful unorthodox ideas underpinned by his Christianity frequently aroused criticism, yet even his adversaries admired his ingenuity. 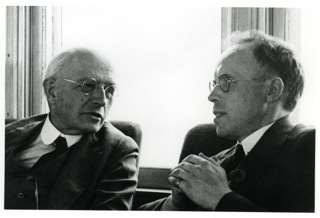 In general his work was received better outside Britain and, as well as lecturing abroad, he spent three months in 1932 with EF Freundlich at the Einsteinturm in Potsdam. During World War II he worked for the Ordnance Board on ballistics, living in south London throughout the Blitz. His speciality was on the penetration of armour plating encasing tanks and warships. In 1944 a VI rocket (Doodlebug) demolished his house. He resumed academic life at Oxford while continuing part-time to advise on defence matters. In later years Milne was stricken with debilitating Parkinsonism, the result of encephalitis lethargica he had as a young man, but he refused to slacken his pace. He died from heart failure, aged 54, in Dublin at a Royal Astronomical Society conference.